When I was a kid, my sister and I used to go trick-or-treating around our village. I remember I usually got so much candy from those to last me an entire year (though the best chocolate bars would be gone within a week!) I don’t remember dressing up back then, though I found this photo of me and my sisters recently. 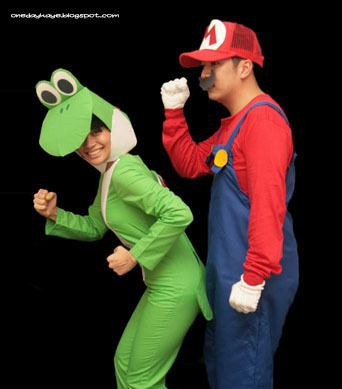 For thirteen years or so, my friends and I dressed up and went trick-or-treating at one of the private villages in our city, where one of us lived. In the beginning, we used to show up in whatever we had wanted; but during and after our college years, we came up with fun themes like Geeks, Cartoon Characters, Nationalities, and Crayola (these were the most recent that I remember.) That fizzled a few years ago when our host moved to Paris. Boohoo. Now, only our friends with children keep the tradition alive. So I was thrilled when I had the opportunity to dress up at last year’s Halloween party at my home box, CrossFit Greenhills. 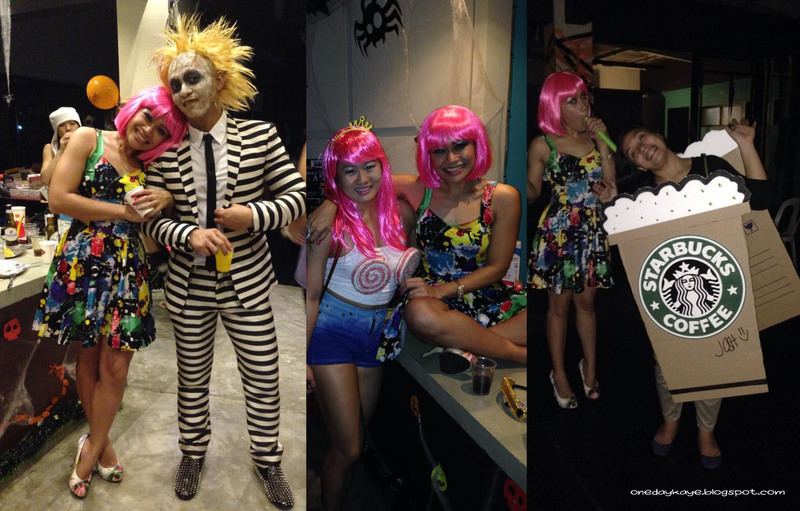 I went as Nikki Minaj, another pink-haired friend went as Katy Perry, I hung out with a Starbucks frappe, and one of my favourites was a very convincing Beetlejuice! I even choreographed a short Thriller copycat! This year, I’ll be missing all the festivities because of a gig out of town (I’m not complaining, work is good!) I’m just a little bummed I won’t be able to join our box’s party, and some of these special promos and events in the city. First, the Pumpkin Spice macarons are back for a limited time. Its warm and earthy orange hues give me the feeling of autumn, even in the Philippines. I love these pumpkin shaped, cinnamon-spice filled cookies; and this year, you can get one for free when you buy the Ghost Fluff. What is ghost fluff? 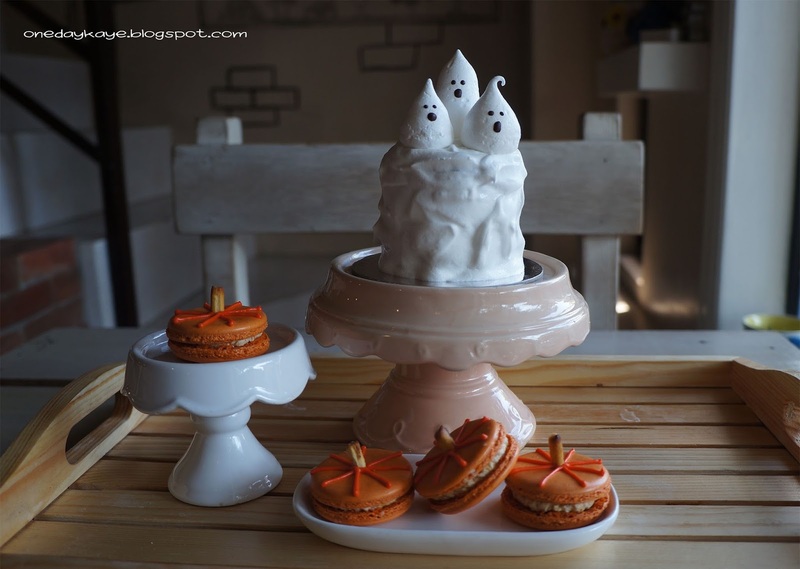 It’s a 3-layer moist chocolate cake with salted caramel ganache, coated in ghost fluff, errr, I mean marshmamaw… I mean marshmallow! I’ve had it, and it was everything it said it would be. I especially loved the texture of the salted caramel, a little chewy and nougatine. If you come in costume on the 31st, you also get a free treat. In another part of the city, a different kind of Halloween will be celebrated with Trick or Turtles. 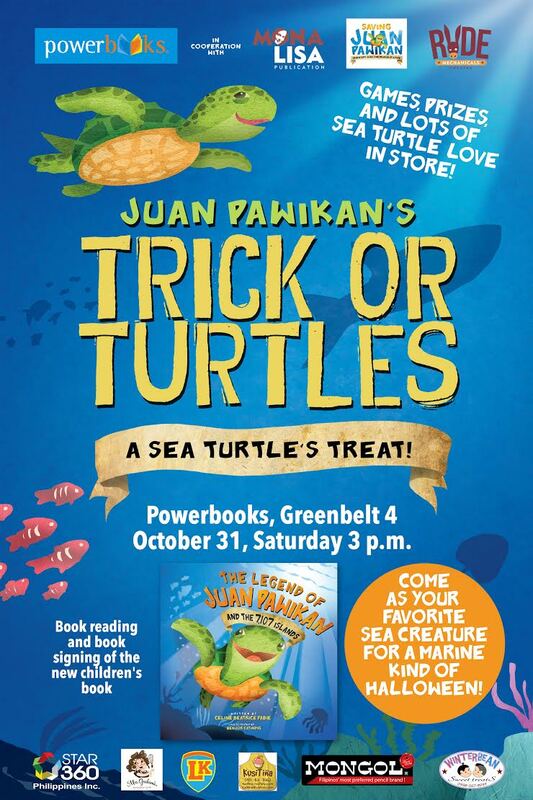 There will be a reading of a new book out called, “The Legend of Juan Pawikan and the 7,107 Islands” to promote marine conservation and sea turtle awareness. Guests are encouraged to come in ocean/sea-themed costumes, and there will be art activities, games, and prizes. If you want your kids to get all the fun that comes with Halloween, but with an educational twist, you wouldn’t want to miss this. The event is hosted by Celine Fabie, sea turtle advocate and creator of Juan Pawikan. I hope everyone has a memorable Halloween for the books! Oh my goodness! Your Halloween party was so interesting. These are amazing Halloween photos. Fantastic color scheme! The Halloween party that I attended at the domestic New York venues was also fun and enjoyable. The decorations were really very scary and giving true feel of Halloween day. Thank you! Halloween is awesome, anywhere!